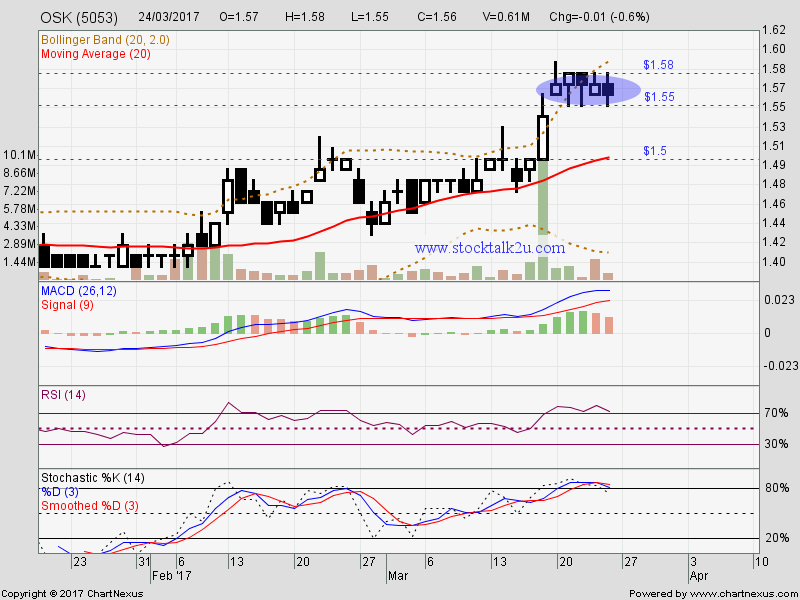 OSK (5053) forming bolinger band squeeze within RM1.55 to RM1.58 range. Will it breakout & go higher? Stochastic %K on SELL call itinerary. Immediate support @ RM1.55 level. Subsequent support @ RM1.50 level. 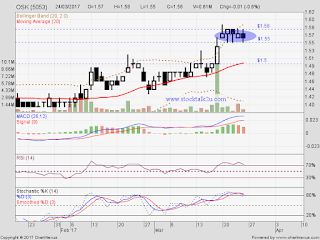 Subsequent resistance @ RM1.61 level.